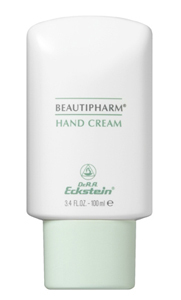 Hand cream, ideal for daily care of dry, rough and chapped hands. Provides protective and nourishing benefits. Immediately absorbed, it leaves the skin feeling exceptionally smooth and soft. Contains UV filter, vitamins A & E, plant oils and waxes.